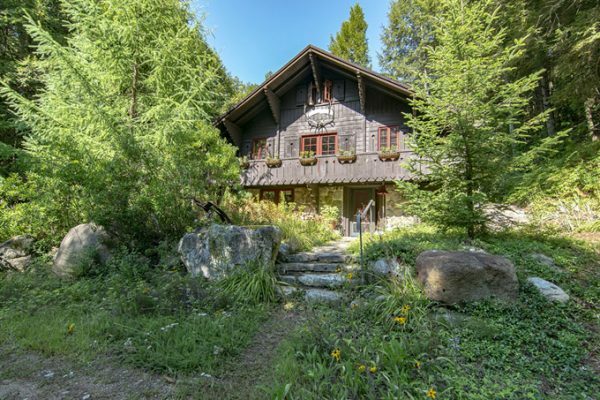 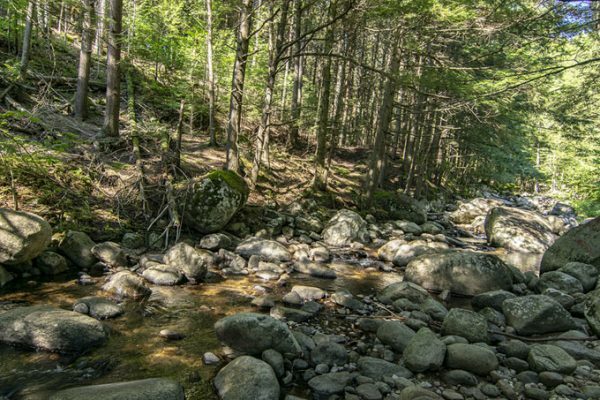 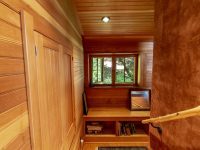 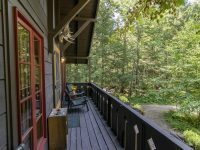 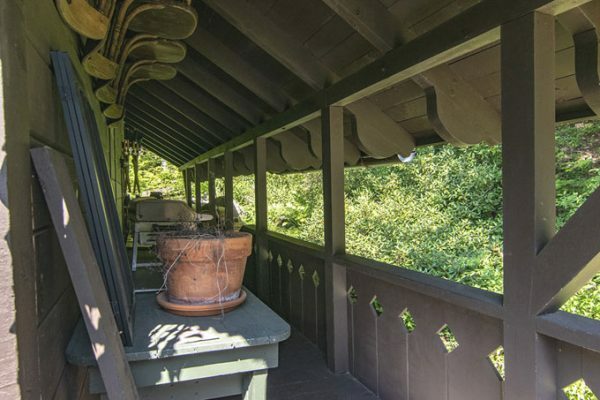 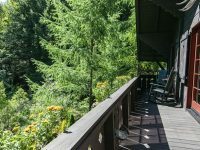 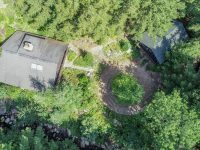 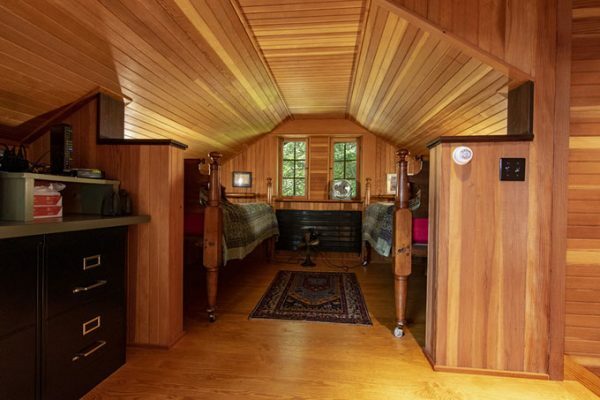 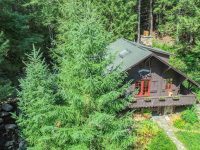 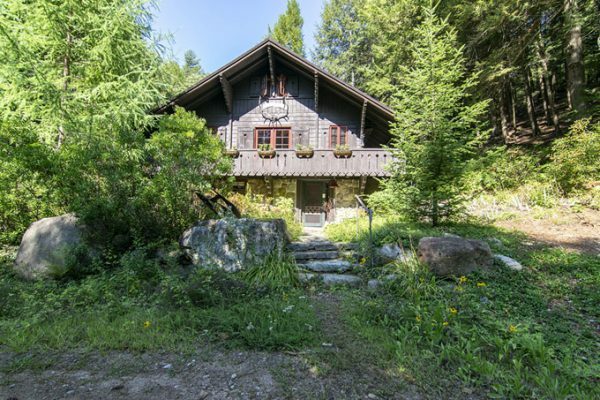 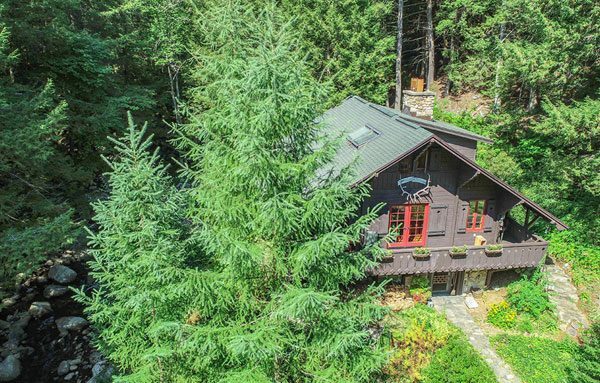 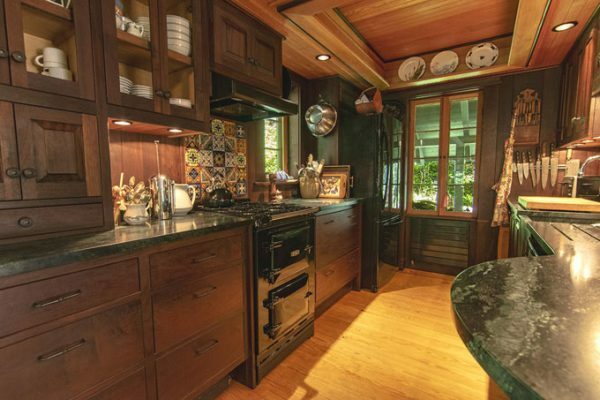 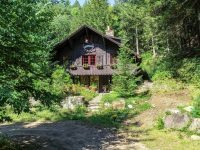 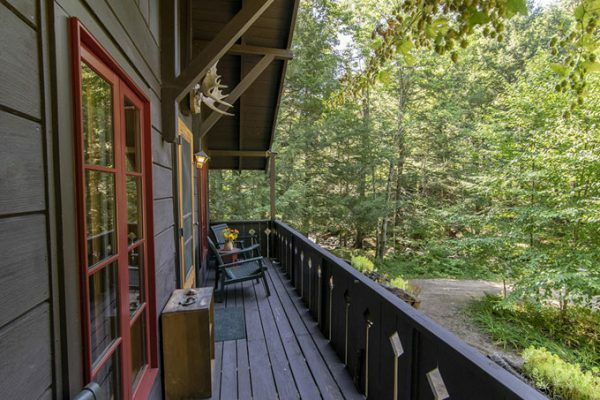 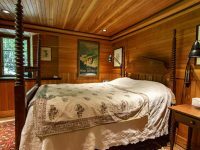 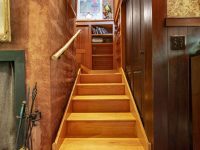 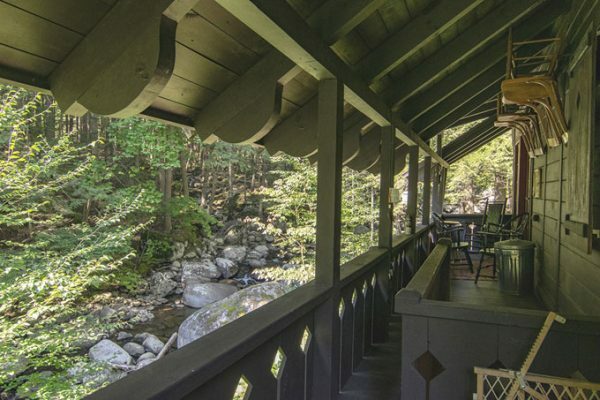 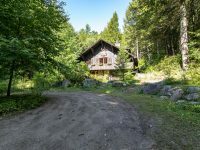 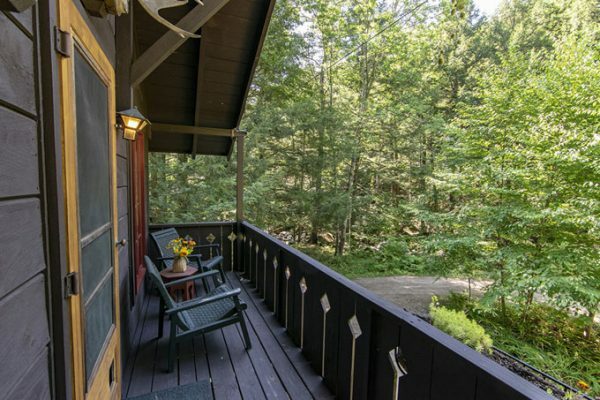 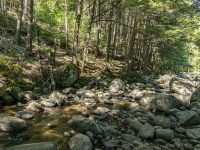 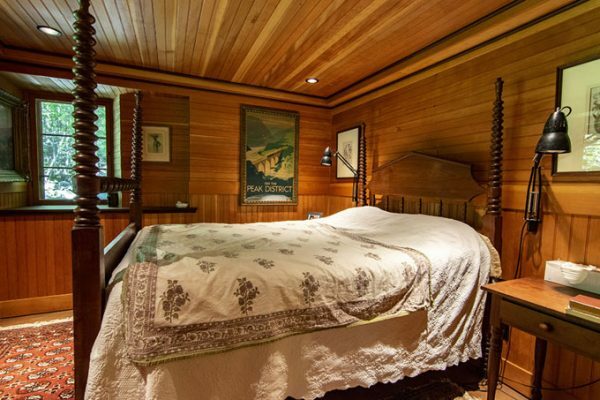 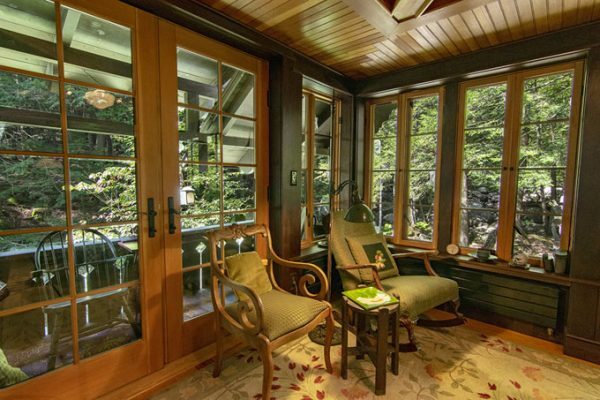 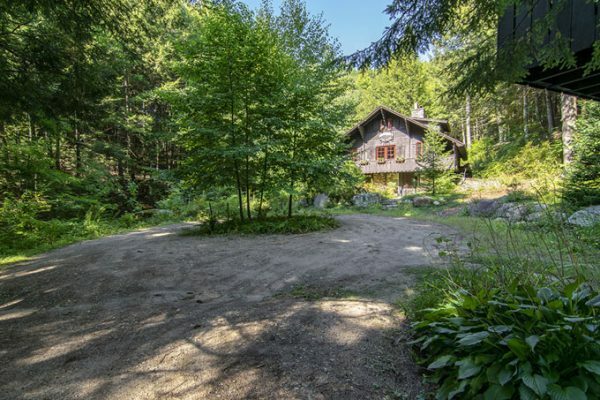 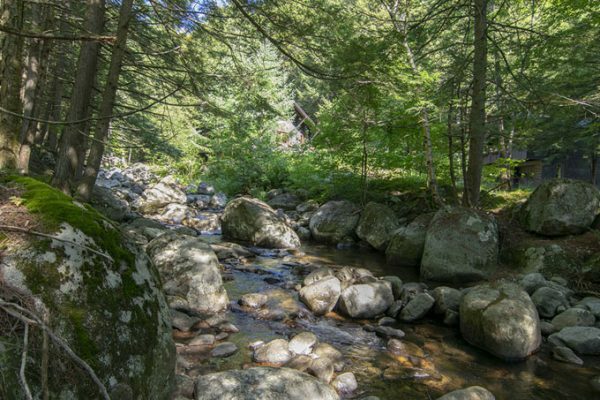 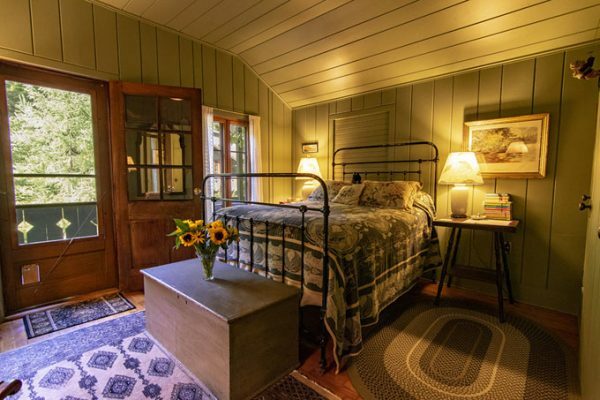 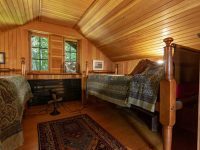 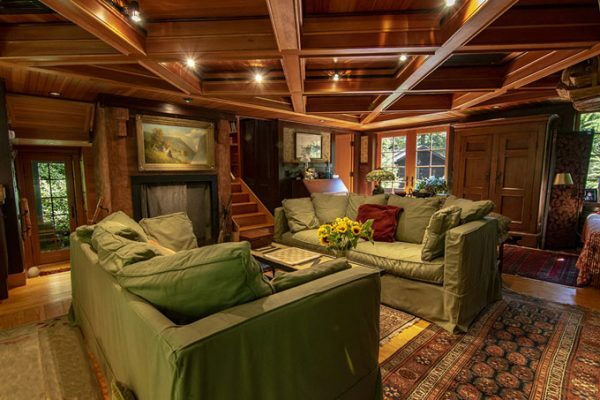 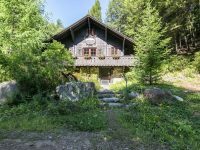 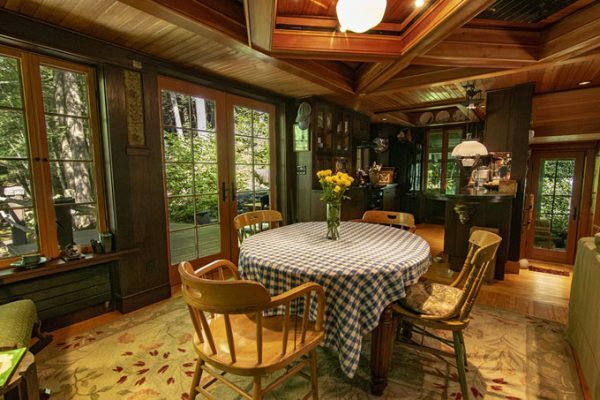 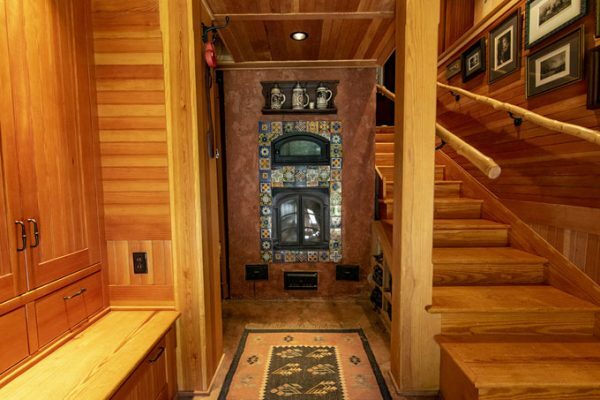 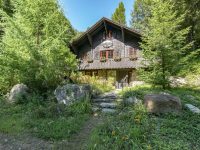 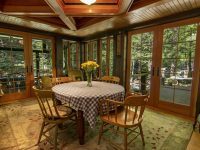 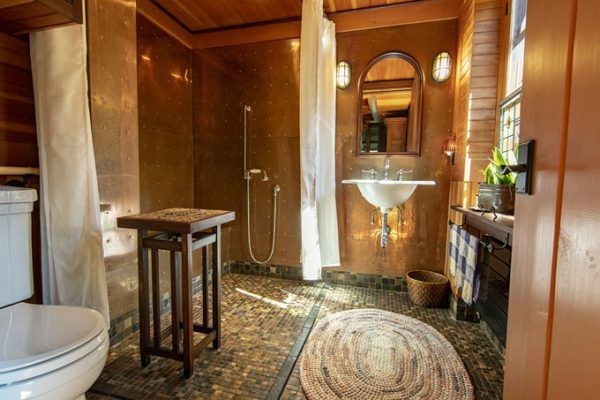 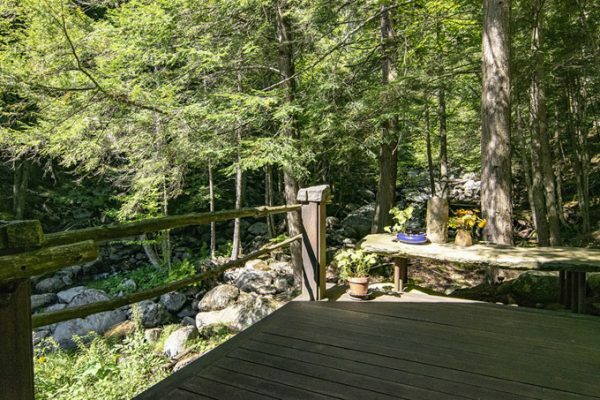 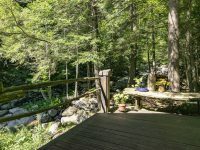 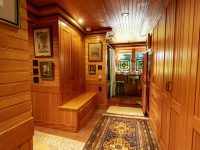 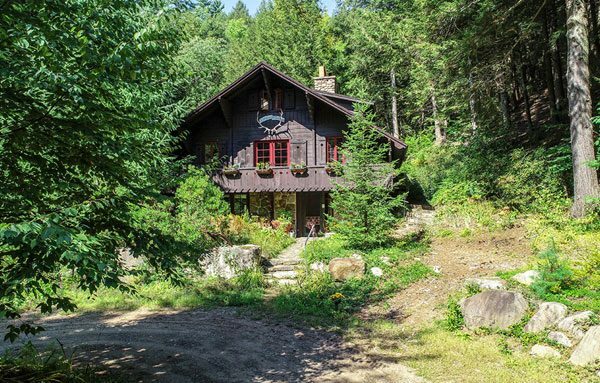 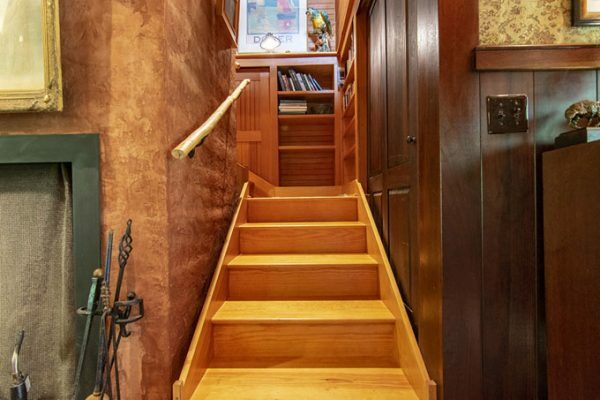 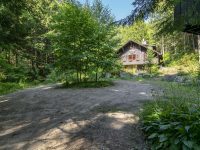 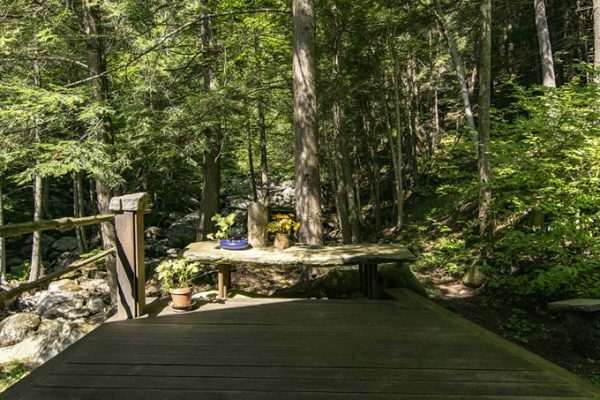 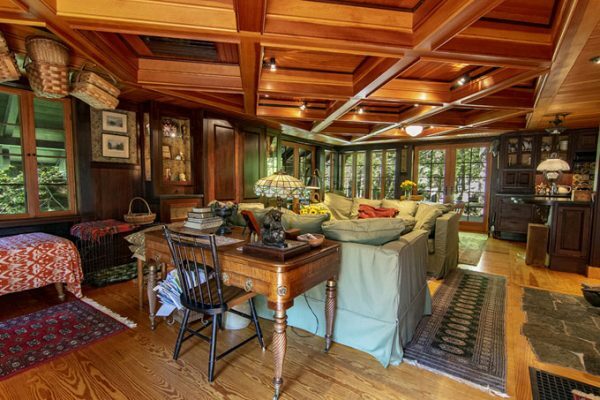 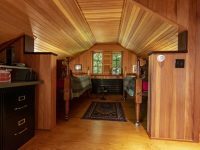 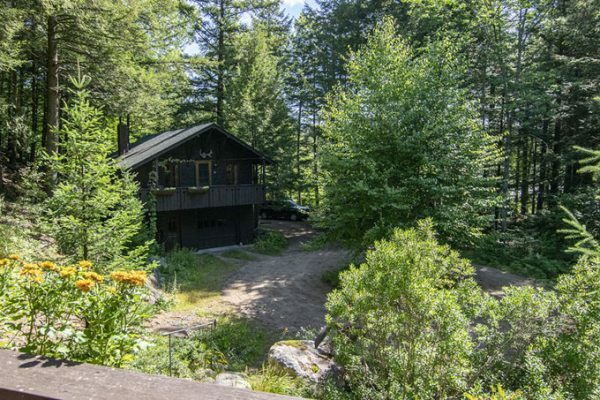 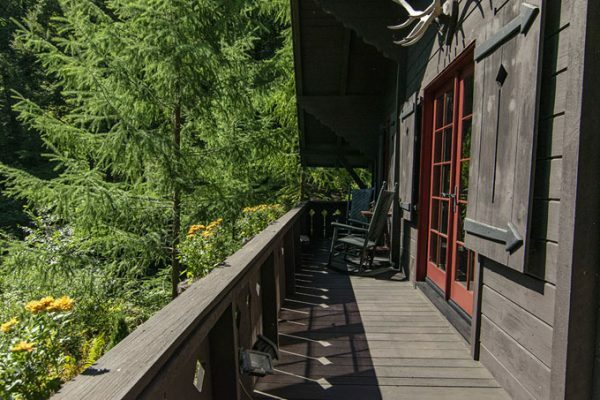 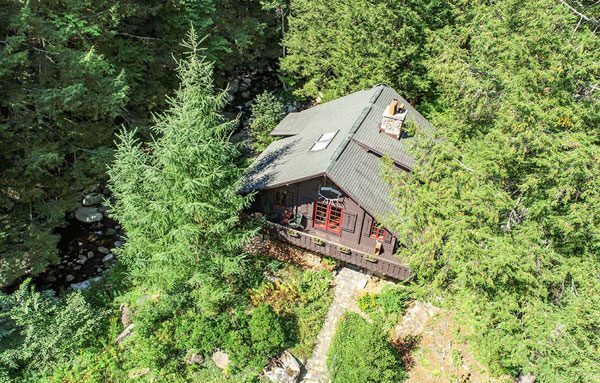 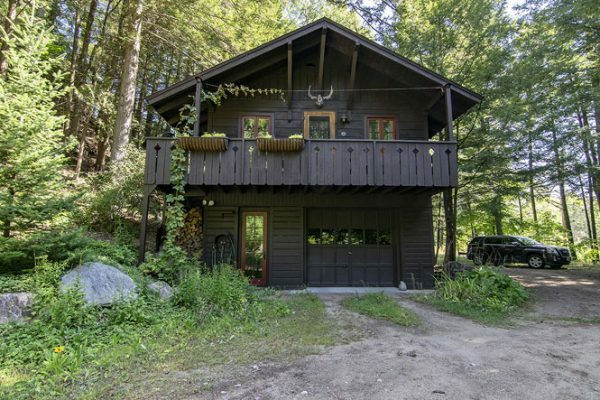 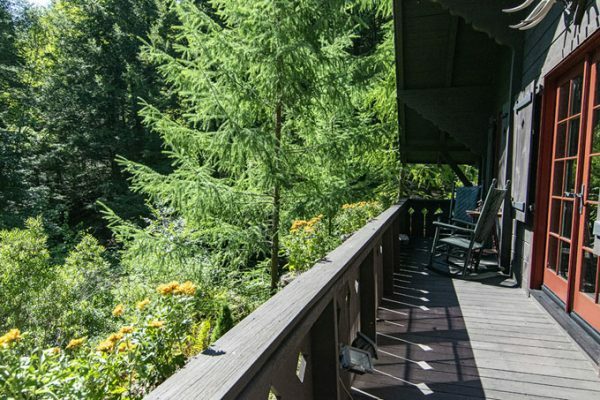 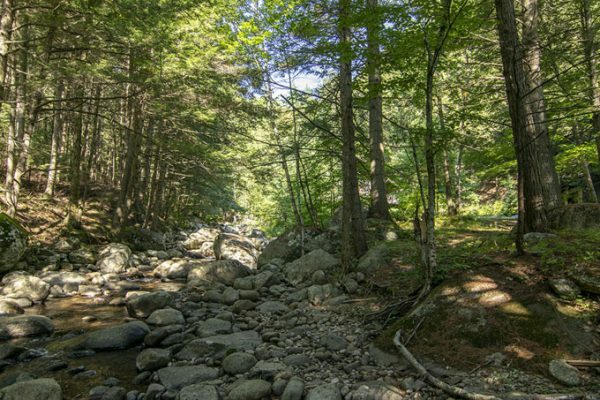 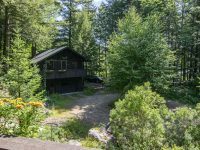 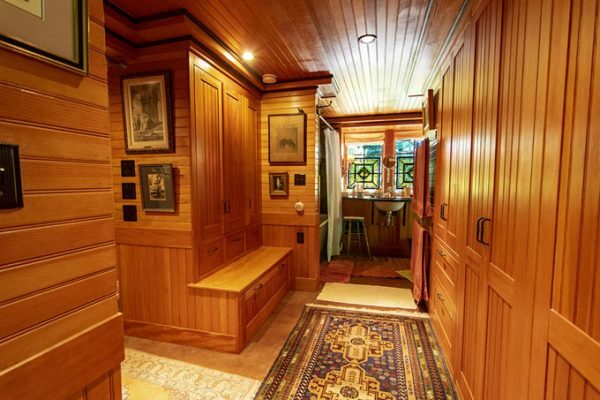 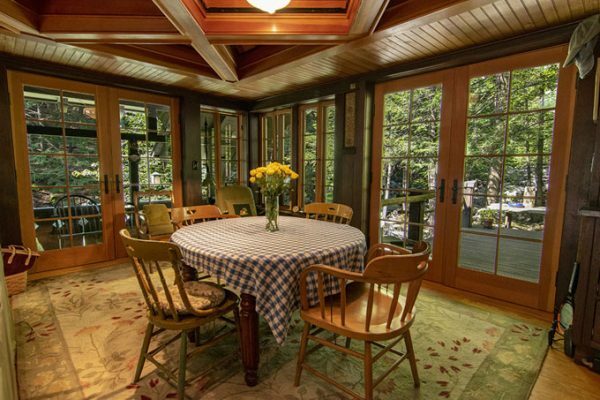 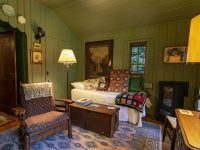 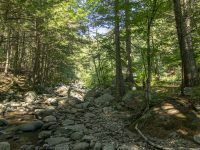 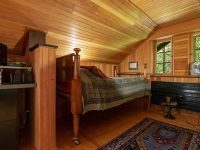 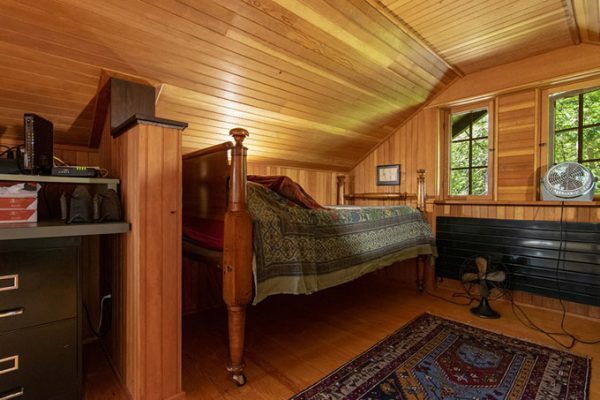 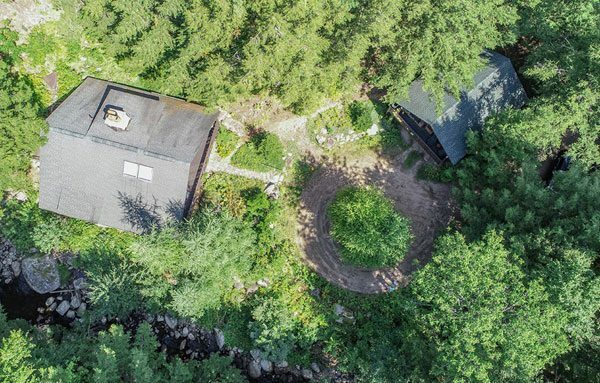 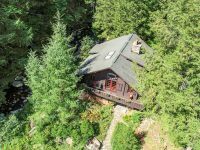 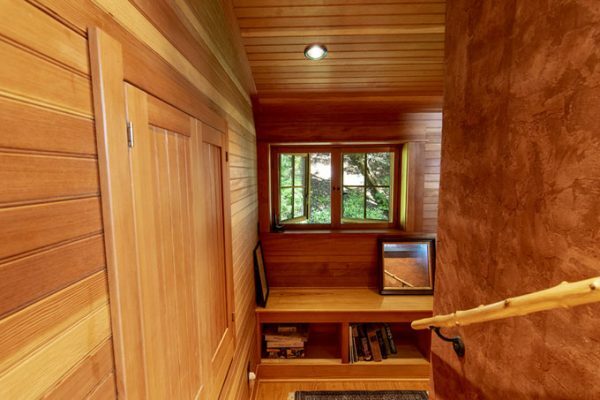 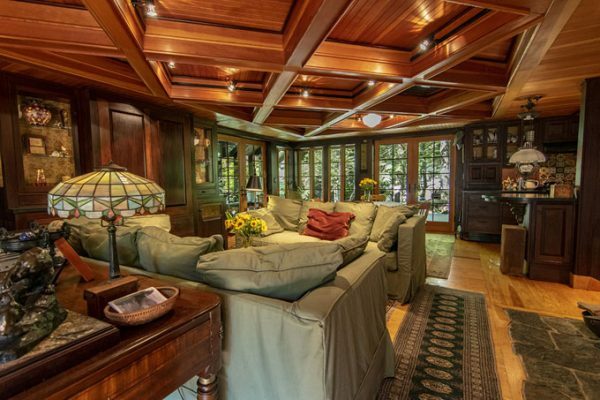 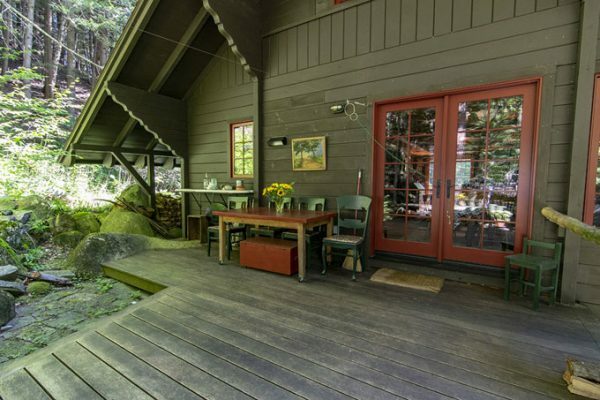 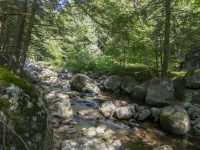 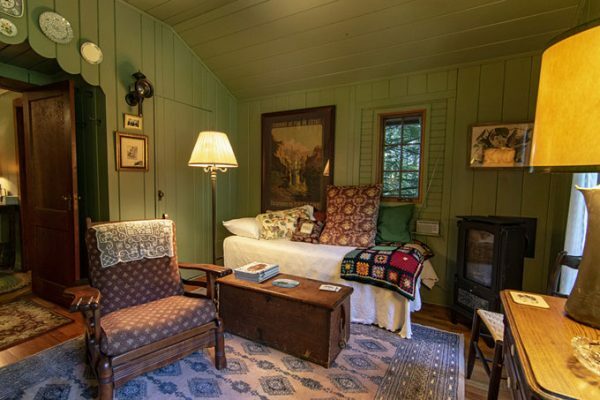 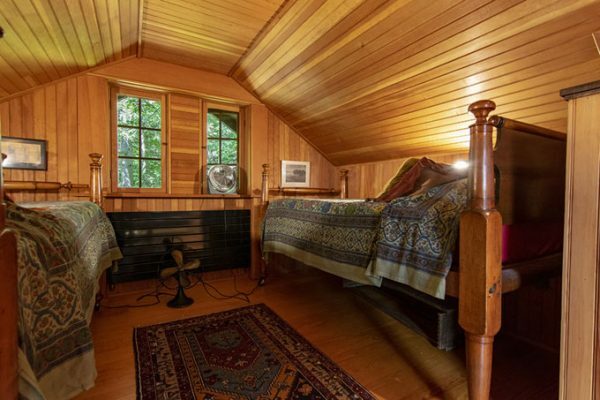 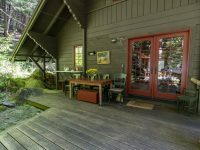 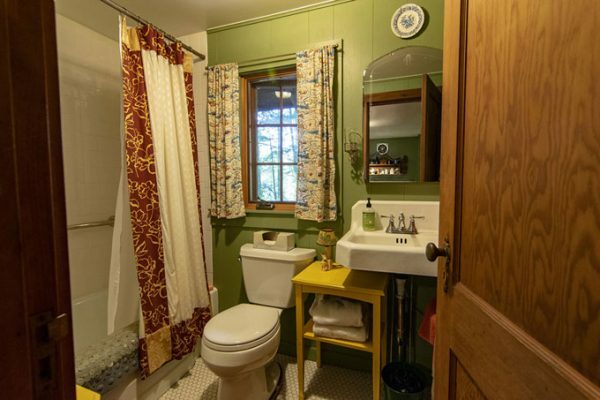 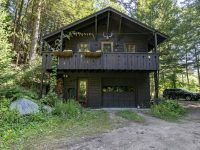 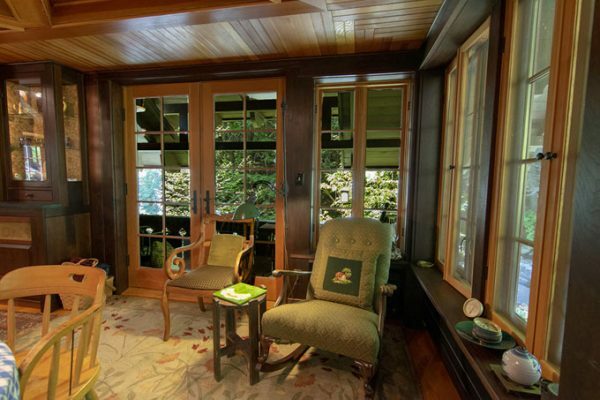 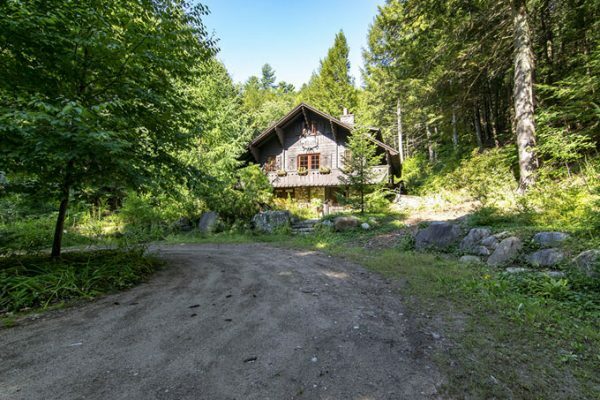 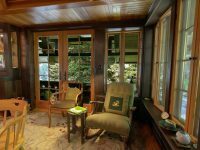 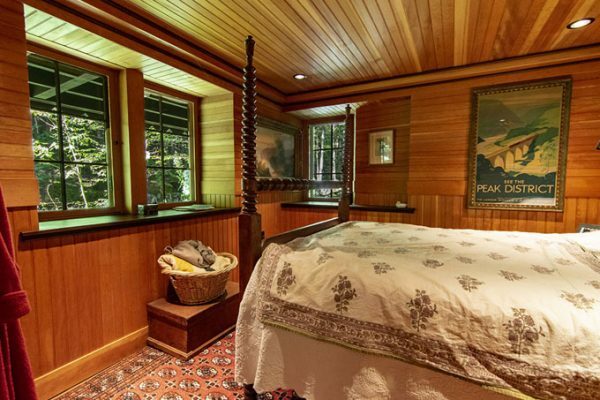 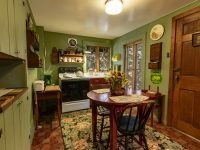 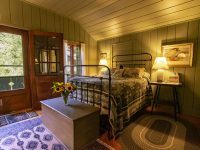 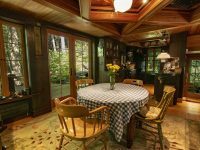 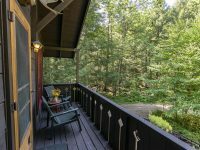 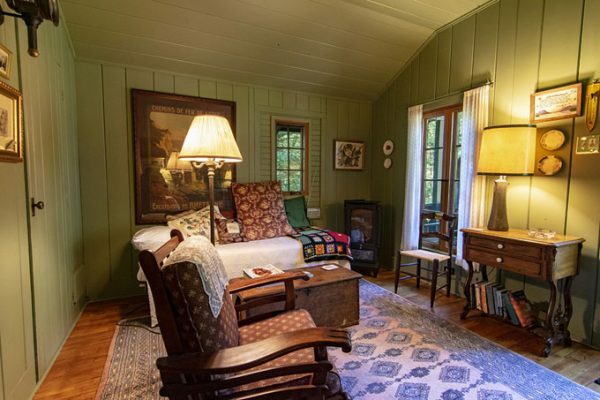 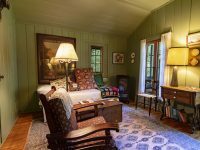 This enchanted storybook chalet, set beside lovely Cascade Brook, is truly a gem! 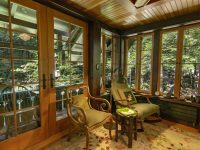 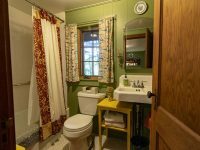 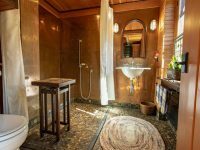 Totally gutted and renovated about 10 years ago and with all high end finishes. 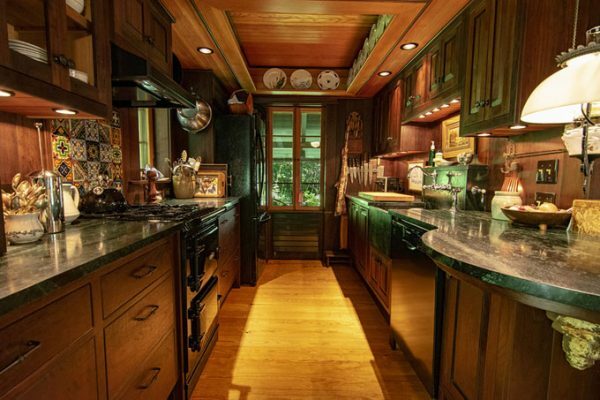 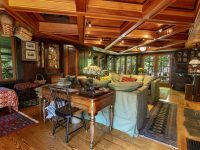 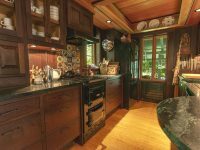 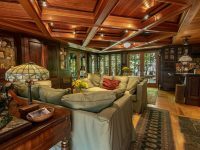 Handmade custom cabinetry, soapstone counters and sink in the kitchen, along with coffered ceilings in both the living room and kitchen add to the charm. 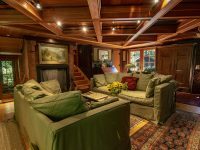 Russian fireplace capable of heating the whole house with a Rumford fireplace in the living room. 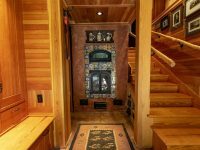 Efficient propane heat with Runtal radiators and radiant heat on ground floor. 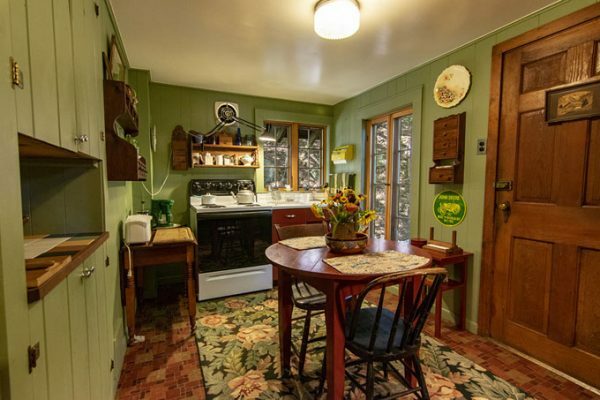 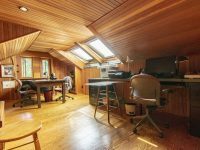 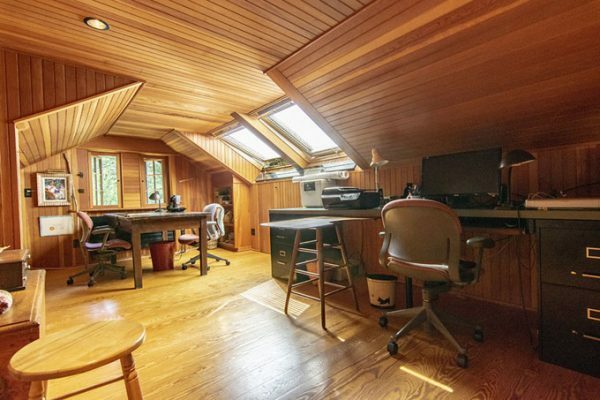 Adorable 480± square foot cottage over the garage. 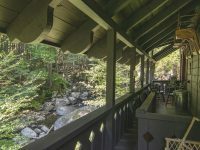 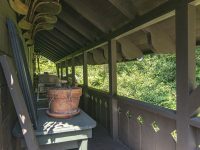 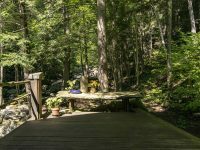 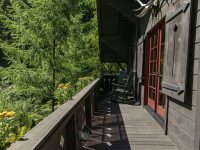 The large deck on the back of the house with the brook flowing past, makes you feel as if you’ve been transported to another place and time. 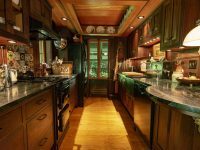 Exceptional and remarkable!